Vetted two more Meetup applications and set up my first orientation. Also the proposal I made to make the meetup application public went through, and managed to take part in the 2nd Thursday community team meeting. Hi Jonathan, just wondering if there is info posted somewhere on the status of submitted Meetup applications? WordCamp Greenville orientation with Erick, Chase, Clifton, Dan, and Pamela – meetup group has been going since at least 2009 and meets once a month on a regular basis. Clifton was inspired to hold a WordCamp after going to WordCamp Atlanta in 2013. Venue – Climpton University satellite campus – top story of a 7 story building downtown. One big auditorium plus a large classroom. Reception area builtin. Plenty of space for food and sponsors. They’ll have someone at the doors and at the elevators to ensure people can get up to the 7th floor. They’ll have a student rep to help them out. Next door parking and free parking on the weekend. Aiming for 100 attendees. 2 tracks. 1 day. Completed orientation with organizing team, sent lead organizer an agreement, received agreement, set up site and added org team, created email address – waiting on email to forward to. also chatted briefly with team about getting their budget setup for a rush review tomorrow so they can lock in their venue this week. reviewed and signed WordCamp Grand Rapids venue agreement, returned to organizer. reviewed Central listing and moved to schedule. WordCamp Greenville budget review – approved with $7620 in expenses and a $3000 global grant (approximately 50% total expenses less ticket sales) Group is hopeful that they will raise more funds locally but since this is the first time they’ll hold WordCamp Greenville I wanted to take the fundraising pressure off and allow them to focus on content. chat with teammate about the current state of tickets and sponsors for WCDC – brain storming for how they can improve their efforts. WCDC – problem we need to tackle 1 TICKETS 2 SPONSORS. Tickets had a big uptick int he past 34 hours — that needs to continue. Courtney will write a post for Central. They will add the WordCamp as a meeting on the meetup. Will also add the “last day to buy a ticket with benefits” to their meetup group and push to additional meetups in the area. Outreach to all of the other meetups in the area. They’re also worried that many attendees Cami will reach out to some of the global sponsors and ask them to let their customers know. Leland will contact the sponsors they brought in locally to ask those sponsors to let their customers know. Sponsors — Solomon has been reaching out to the WordCamp sponsors from surrounding areas. Leland will contact AWS as soon as the call is over to see if they can bring them in as platinum. Courtney is ordering speaker gifts. This June 26th is the final ticket day to ensure you get a t-shirt. Kevin is working in the background on volunteers. Specifically on registration, video, and happiness bar. Solomon is working on vendors for food and after party. Kevin is working on the speaker event. Lots of little things are happening behind the scened but they all agree that the big issues are tickets and sponsorship. Beth is consumed with everything speaker related and making sure that all of that happens. Need to pull in one security speaker. Also missing two workshop speakers – Kevin will reach out to one today who just hasn’t been responsive. One they need to find a person for. This is Beth’s focus. After the call I did a bit of additional outreach on the sponsor front to Bluehost and Automattic. received request from WordCamp Phoenix organizer asking to change lead organizer and get a budget review. Requested that we receive an application from the new lead organizer and vet and run an orientation prior to the budget review. vetted application for WordCamp Abuja – declined – applicant sought to profit from the event and there is not local meetup. Advised him of expectations and pointed him toward the Meetup signup if he’d like to foster a community in Abuja under the expectations. vetted application for WordCamp Surat – declined – applicant didn’t know about the local meetup group. Encouraged him to join. vetted WordCamp San Jose applications – declined – applicant didn’t know about the local meetup group. Encouraged them to join. vetted WordCamp Jaipur application – declined – less than one year with WordPress and didn’t know about the local meetup group. Encouraged them to join. WordCamp Jaipur second application to organizer a WordCamp – vetted and declined. Encouraged applicant again to get involved with the local meetup group and let him know that we find WordCamps are more successful when main organizers have been using WordPress more than a year. WordCamp Papeete – vetted and declined — no local meetup group. Encouraged applicant to start a meetup group. 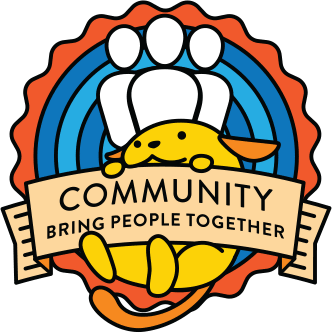 WordCamp Uyo application – vetted and declined – no local meetup group. Encouraged applicant to start a meetup group. WordCamp for Publishers – request for ASL translation services at event. Walked organizer through what she can expect, what she needs to do and let her know we absolutely do provide this service to attendees when requested.